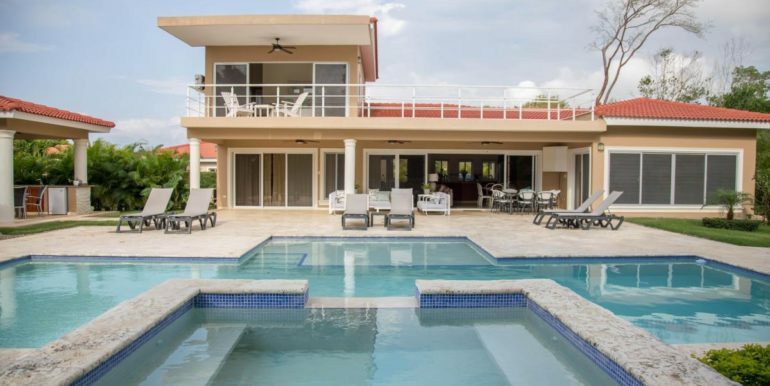 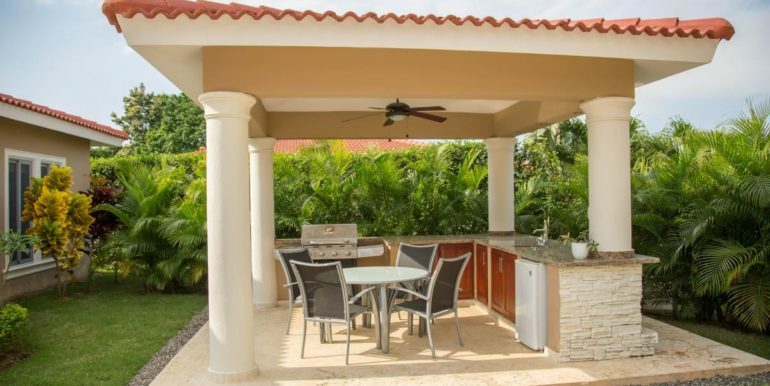 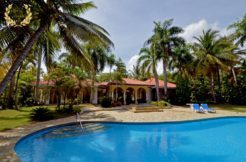 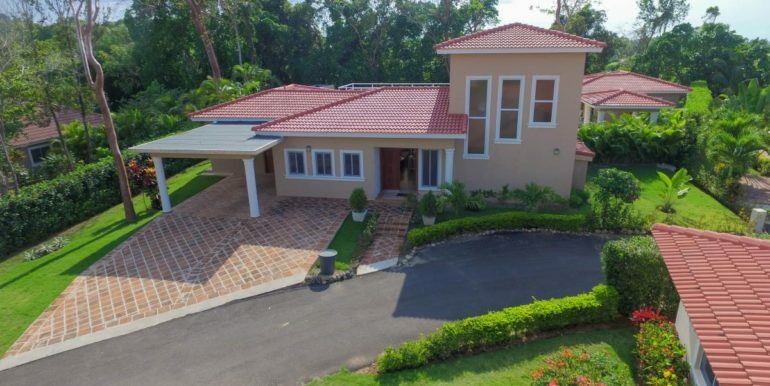 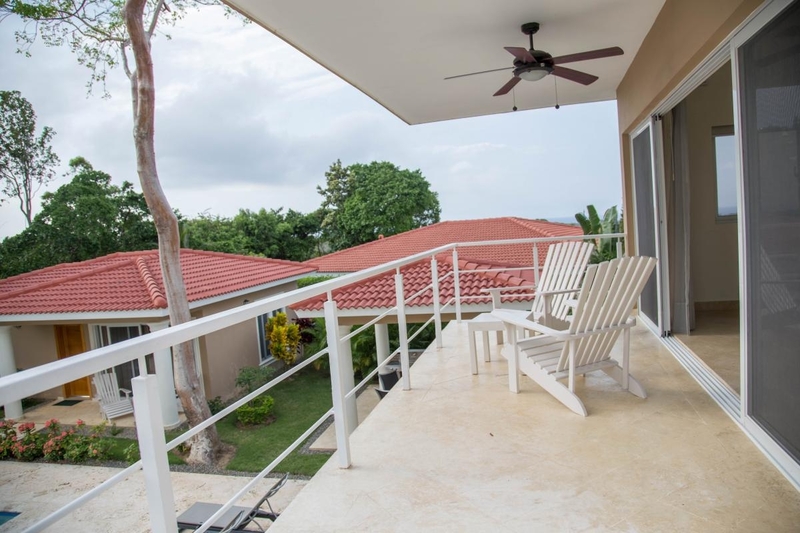 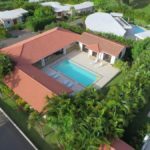 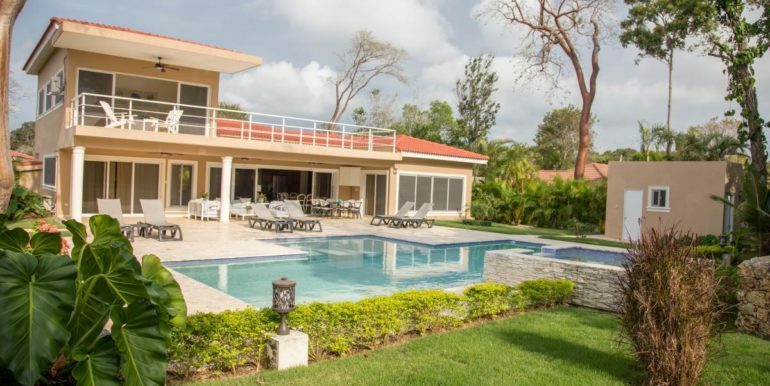 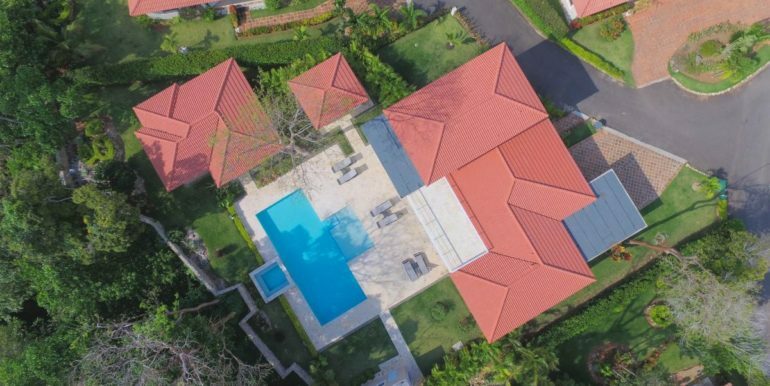 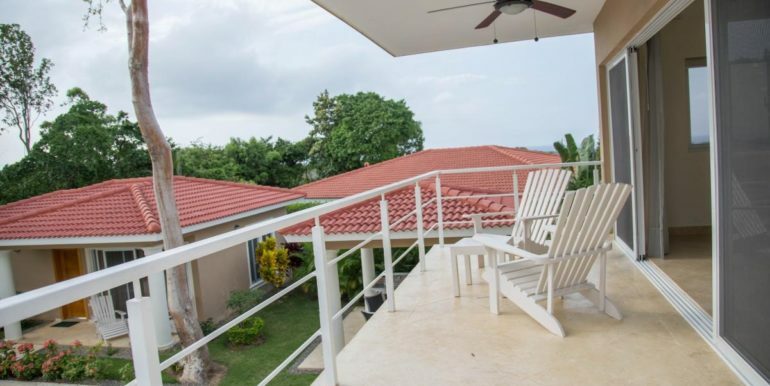 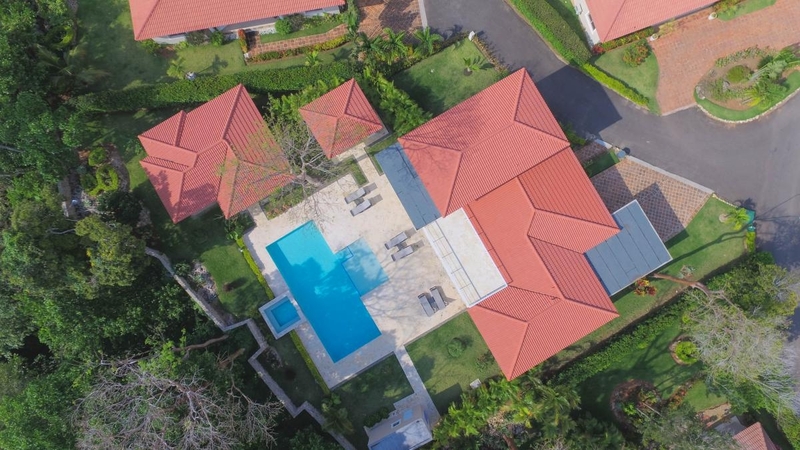 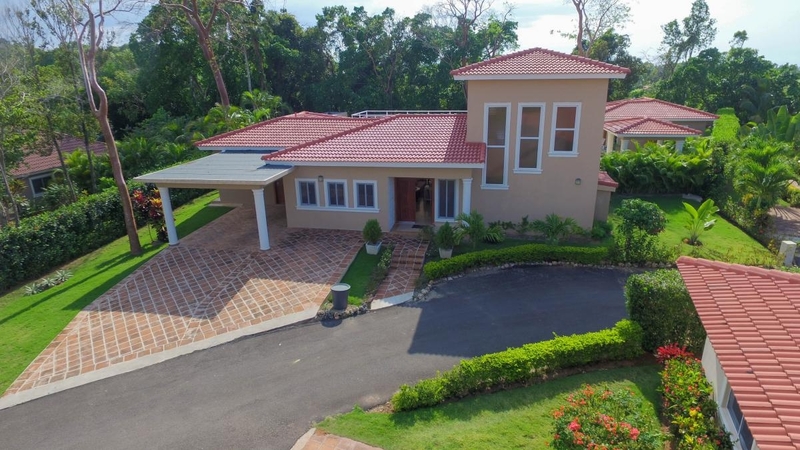 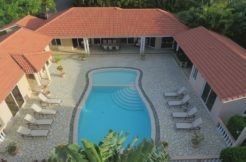 This 2-story villa rental falls in the category of forest view, set inside a great community that offers 24hrs security and support. 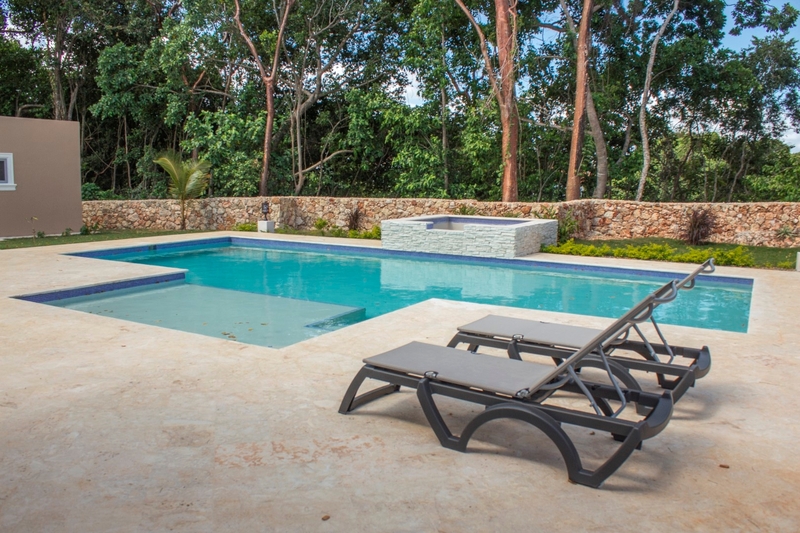 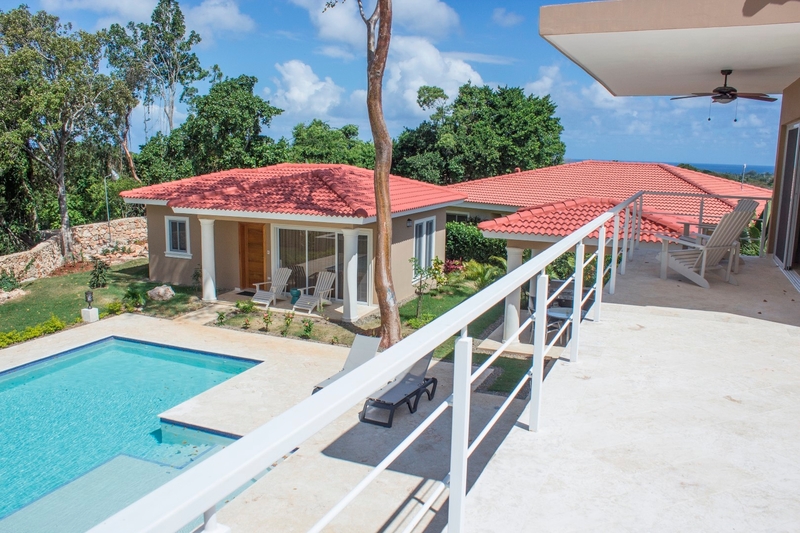 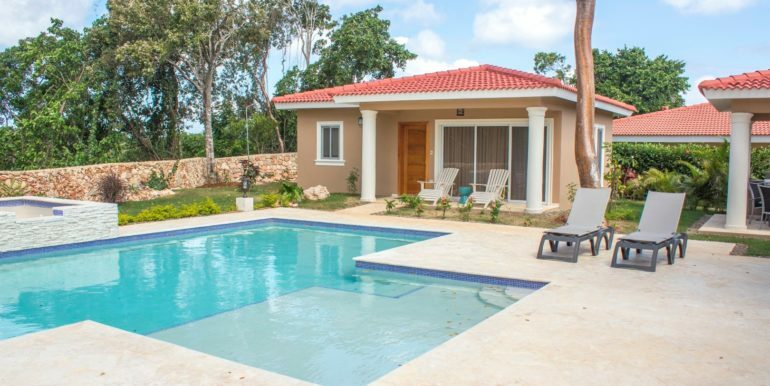 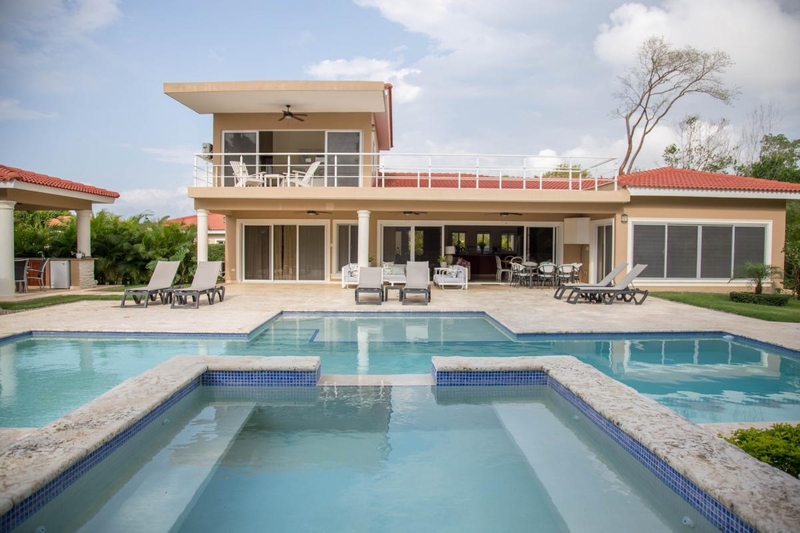 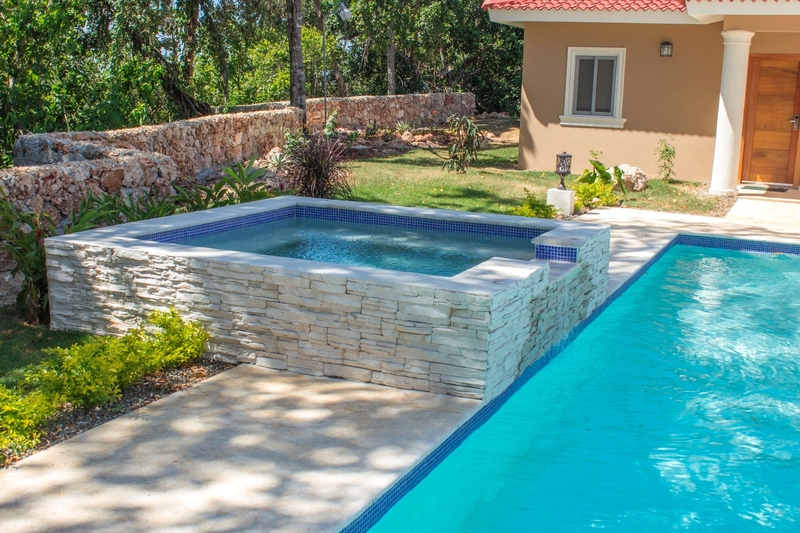 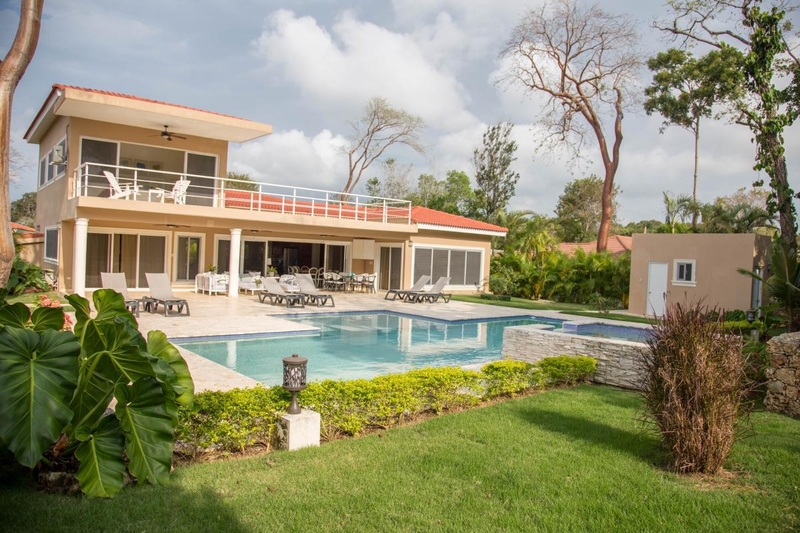 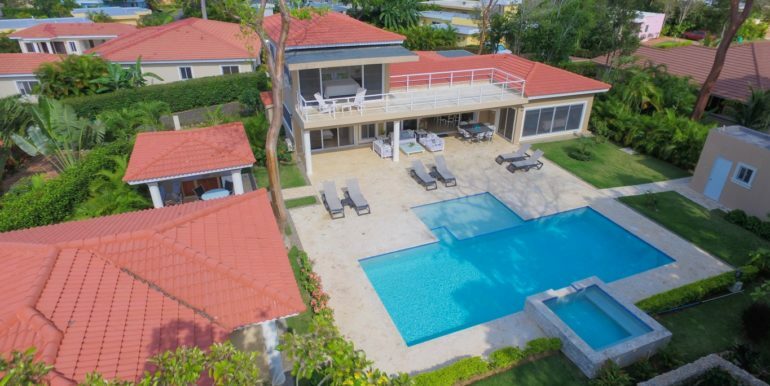 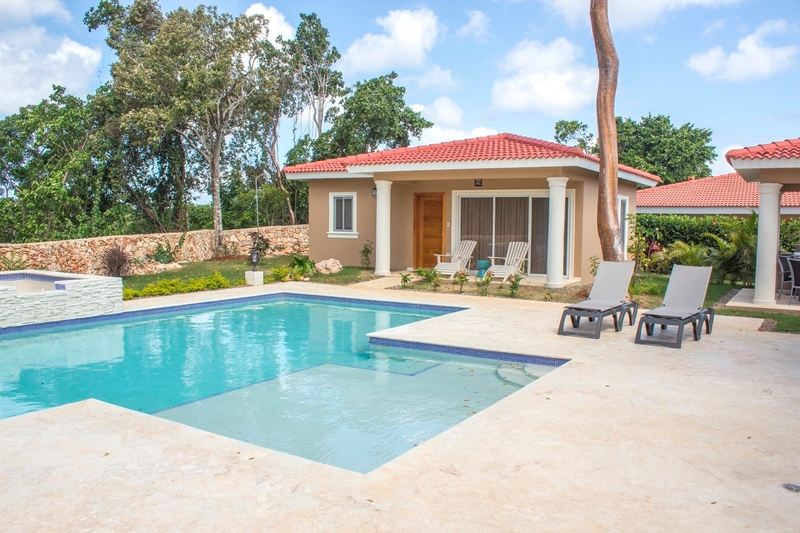 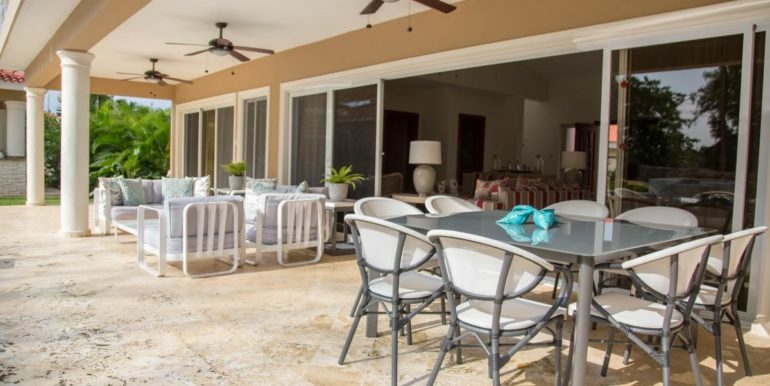 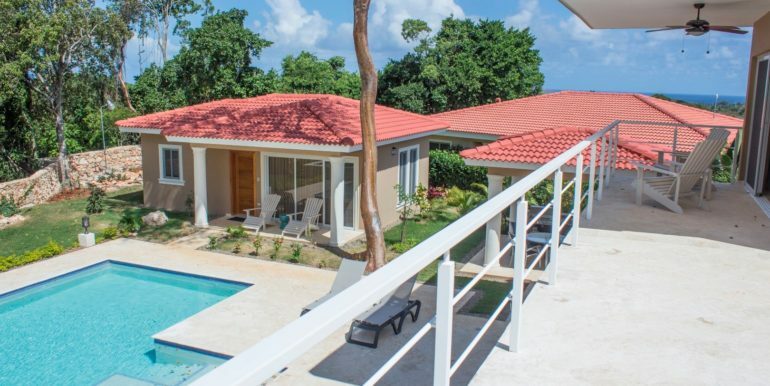 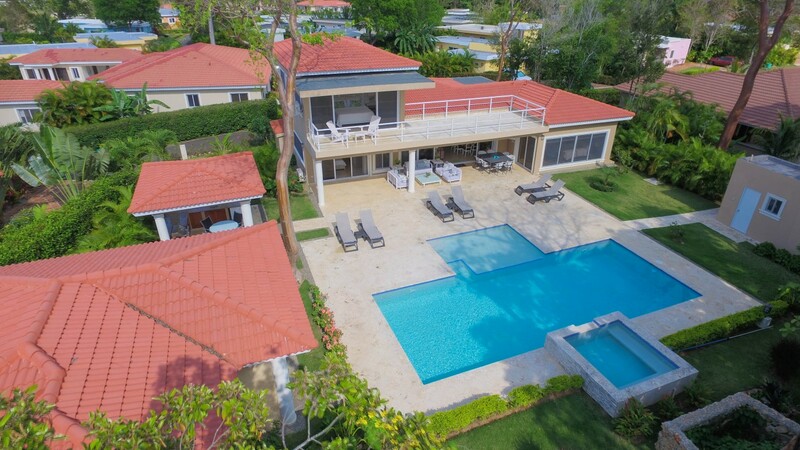 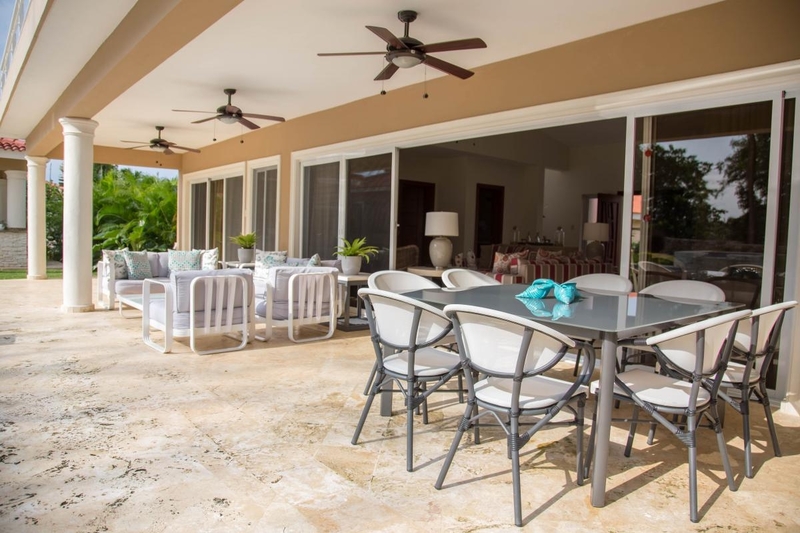 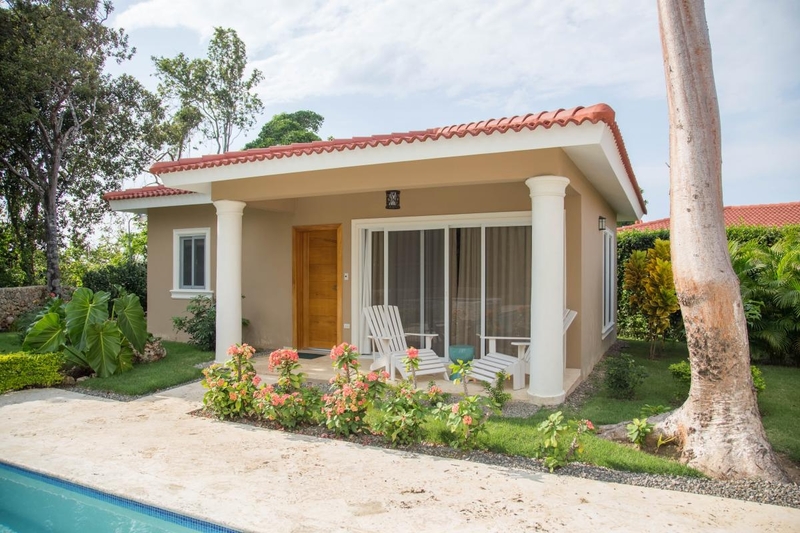 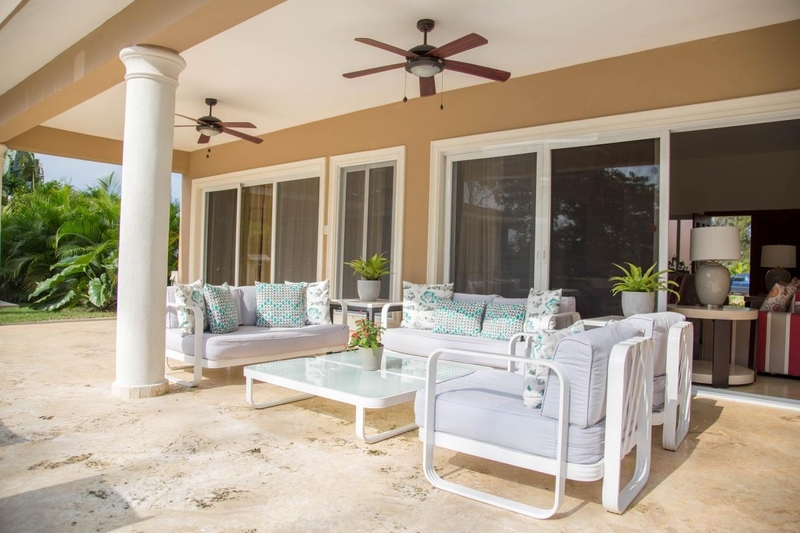 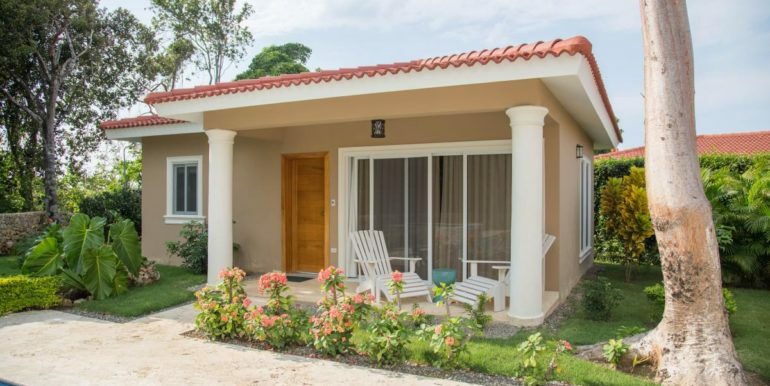 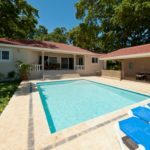 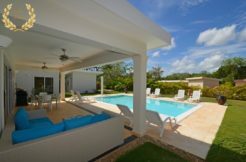 The villa is built around the swimming pool deck for convenience, with a very spacious deck and verandas. 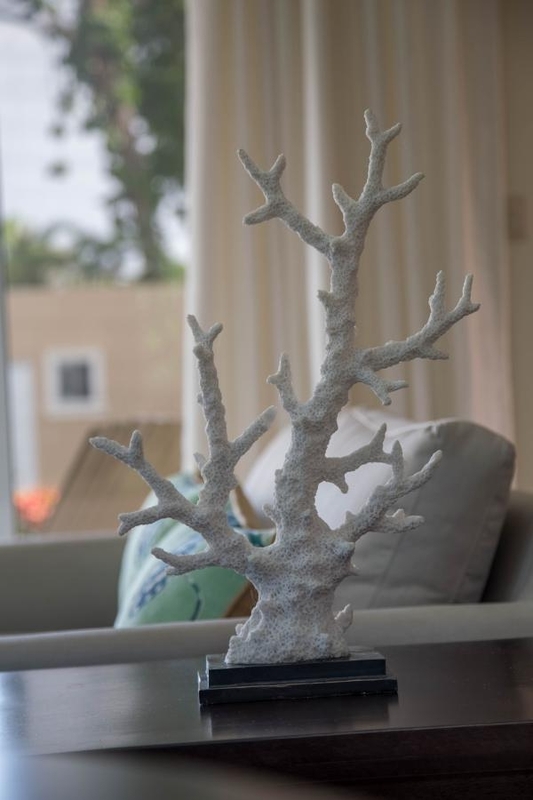 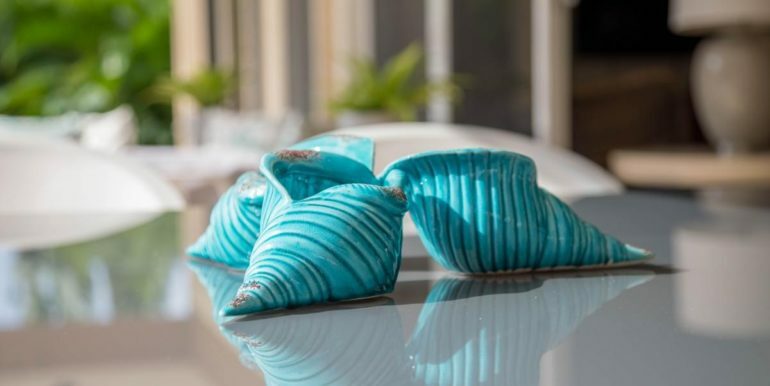 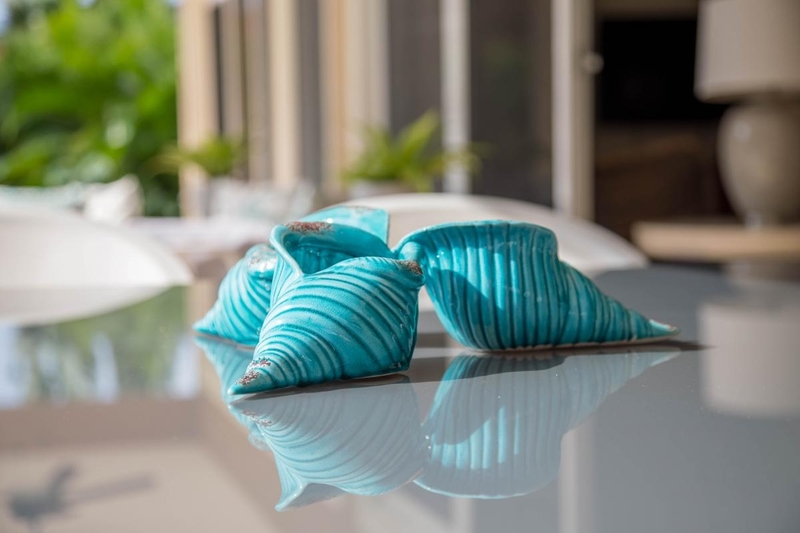 The stylish, modern-classic design is inspired in Balinese villas of the Pacific, combining ample green areas with views of the natural environment around this eco-friendly community. 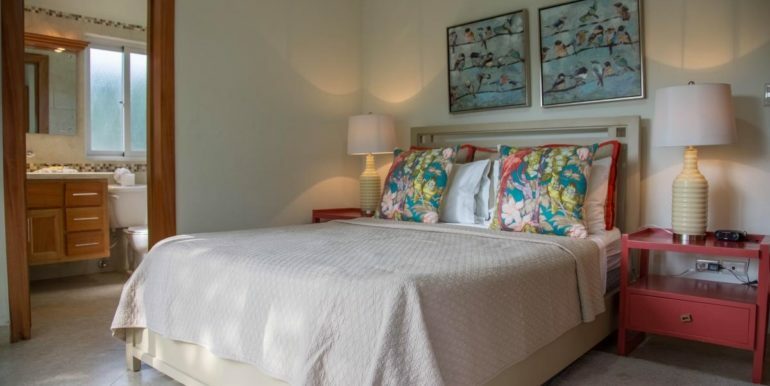 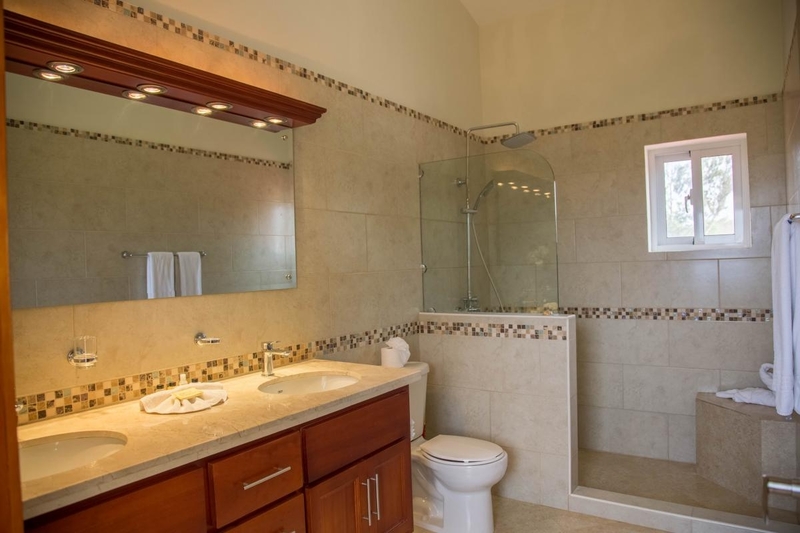 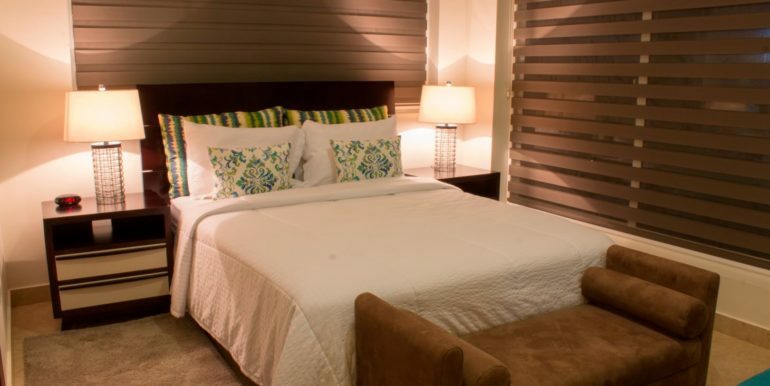 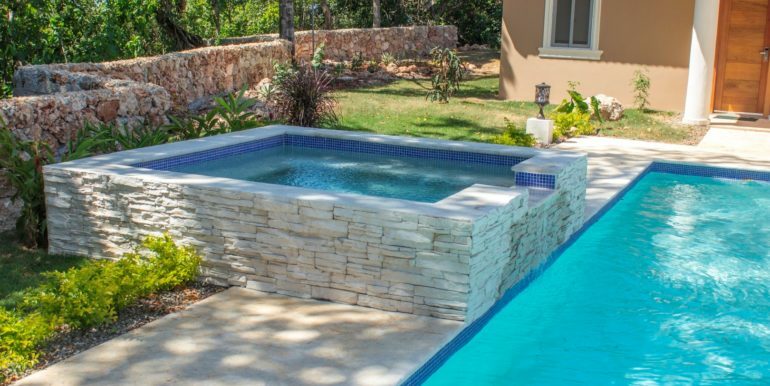 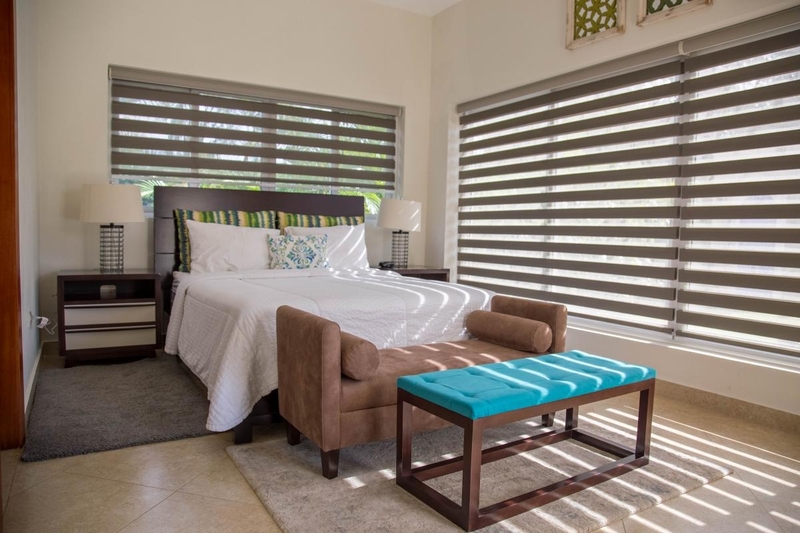 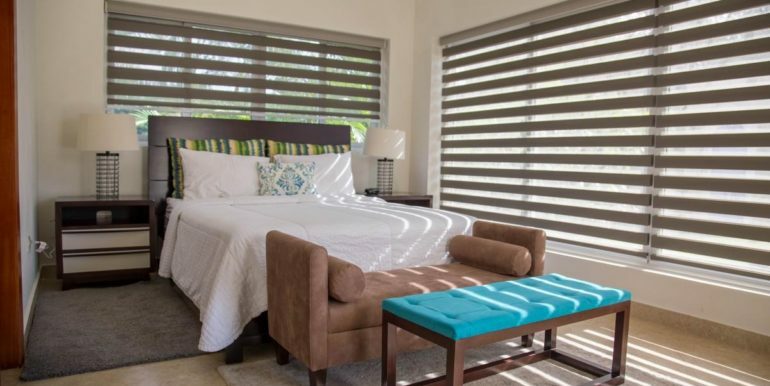 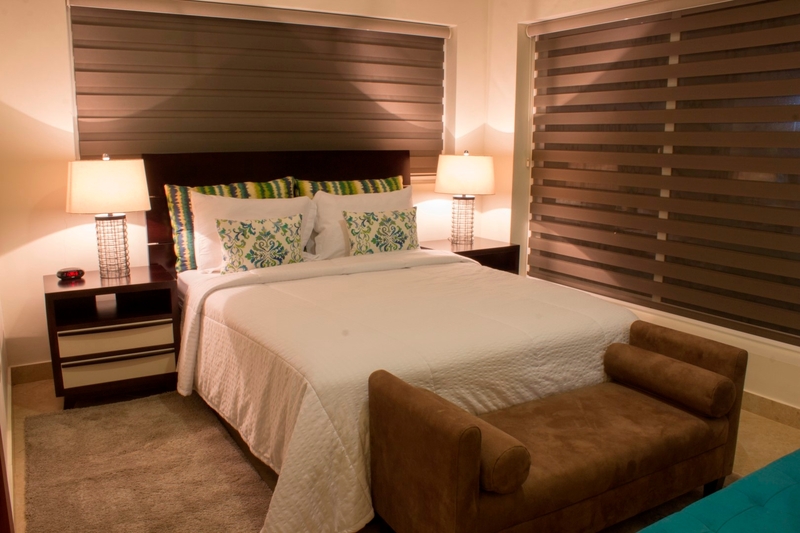 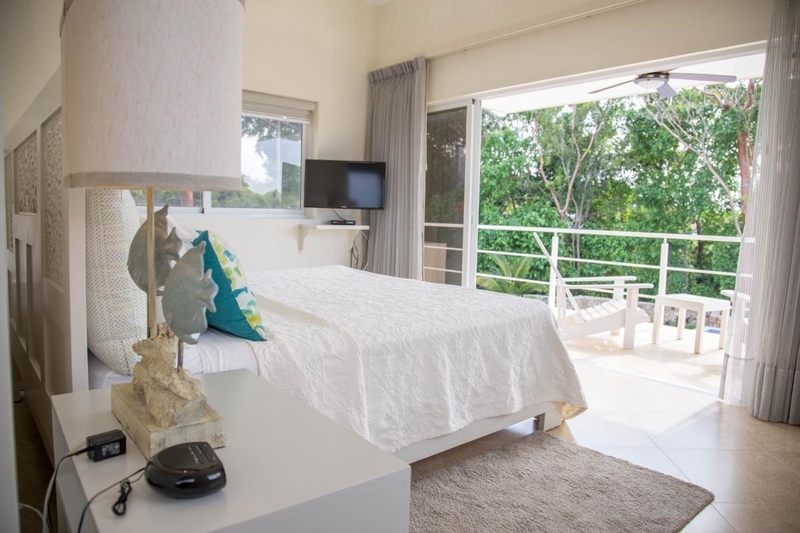 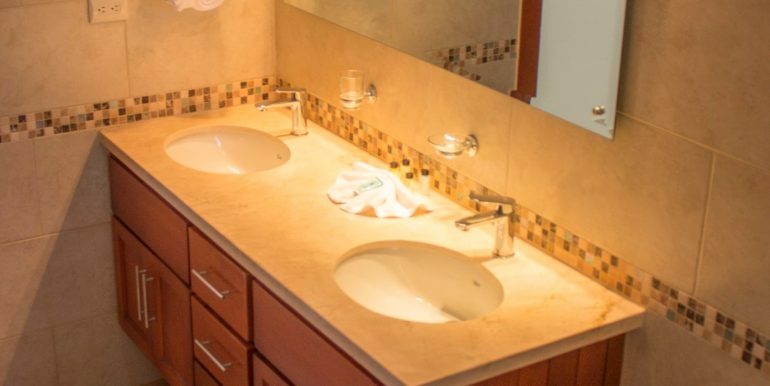 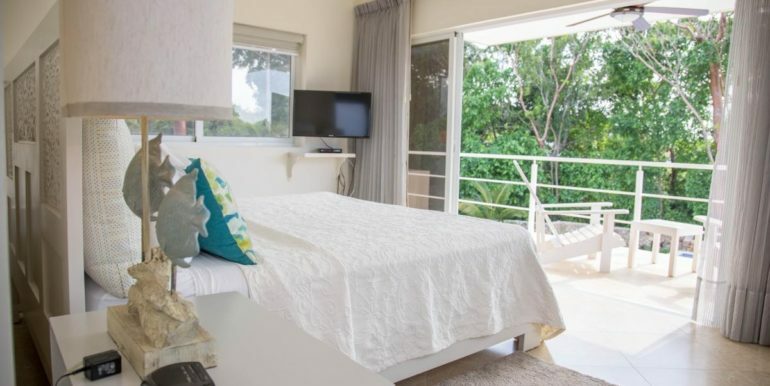 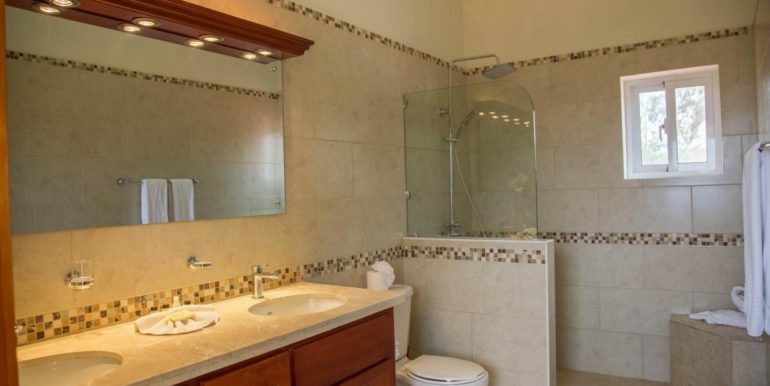 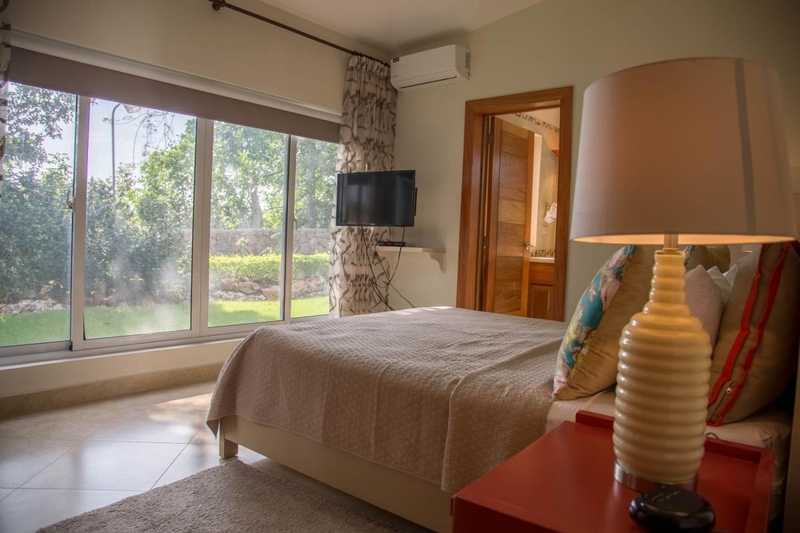 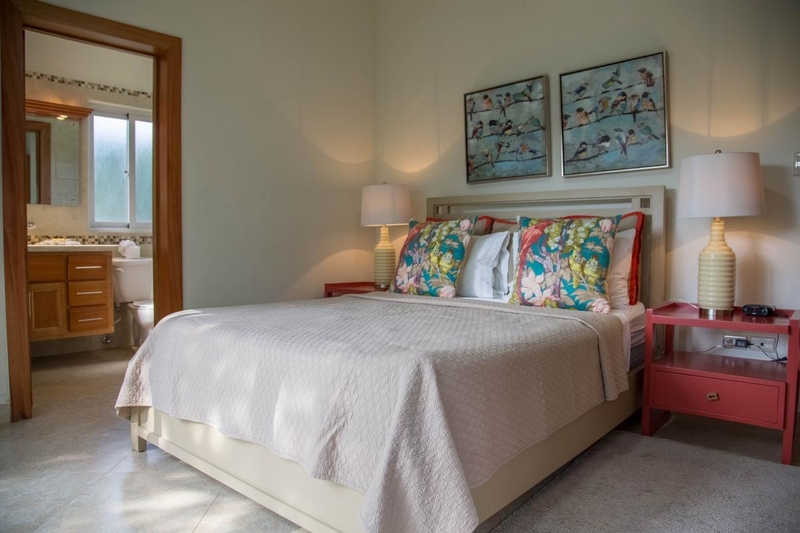 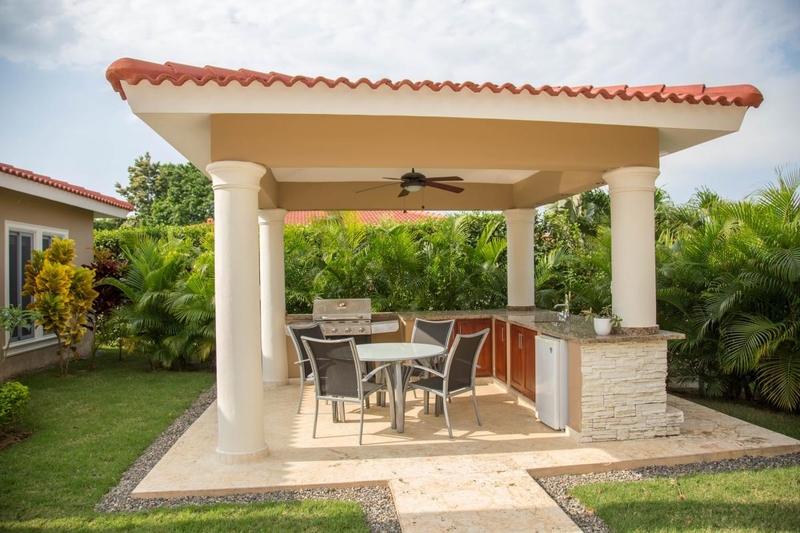 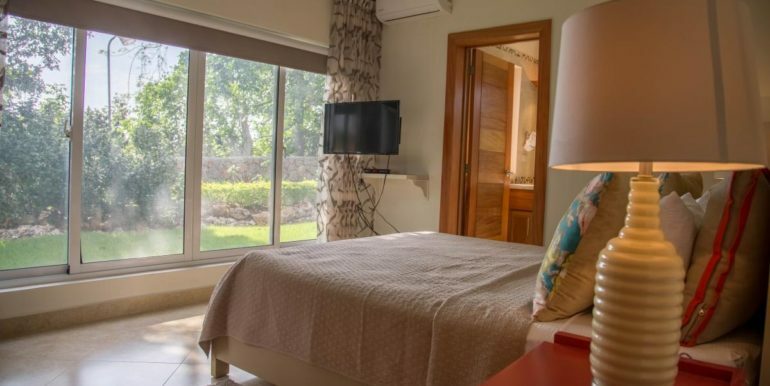 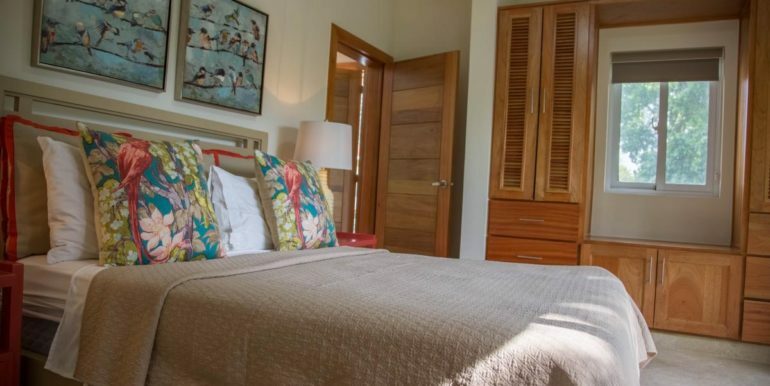 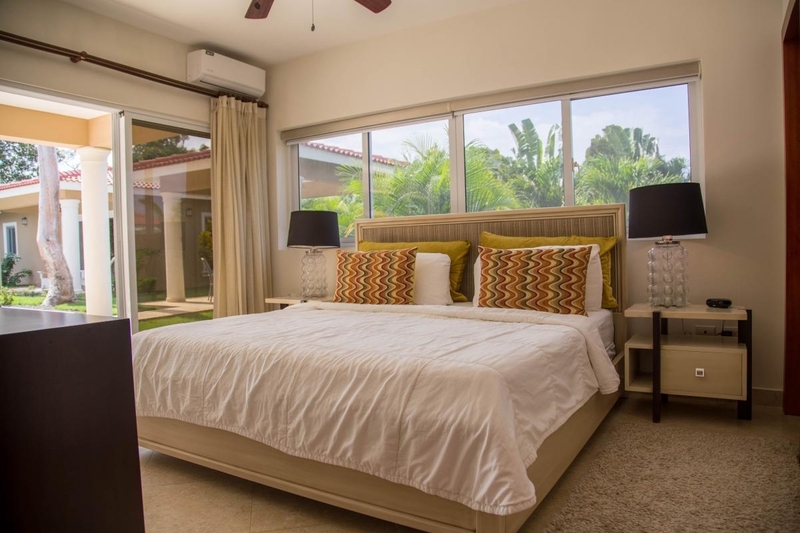 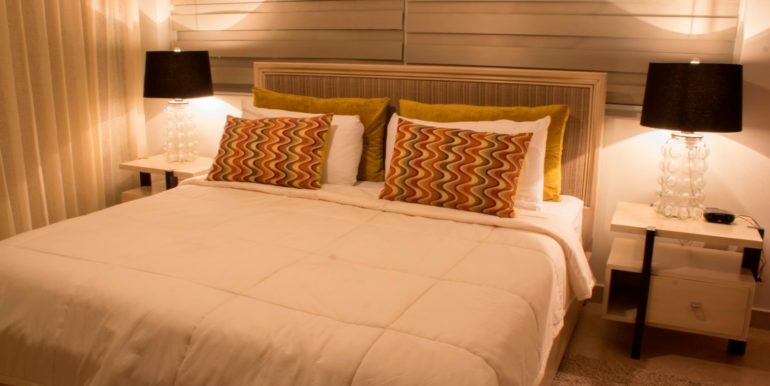 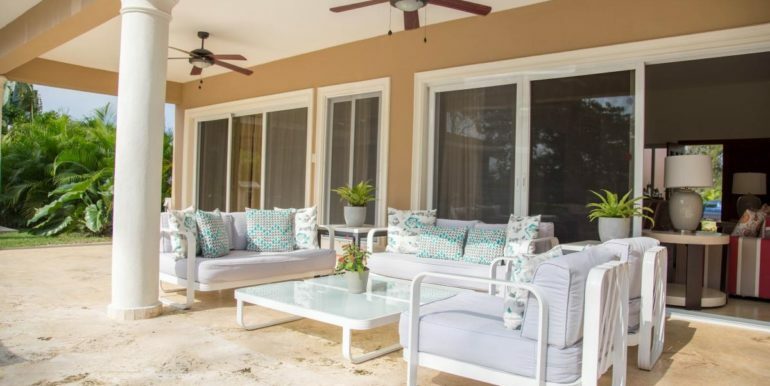 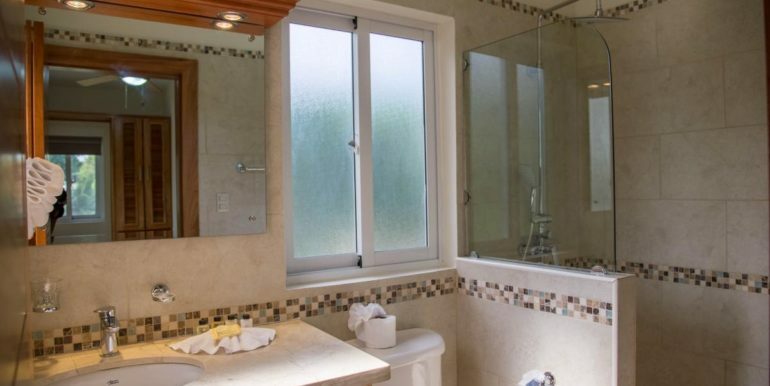 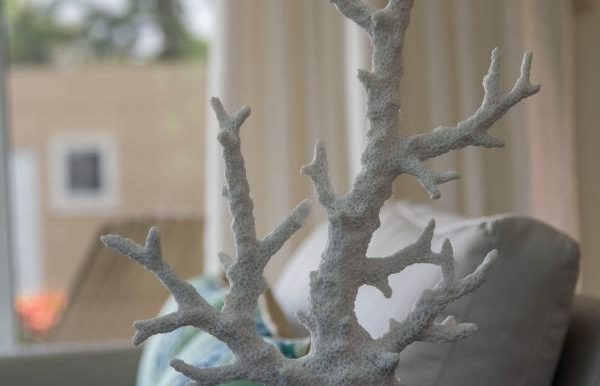 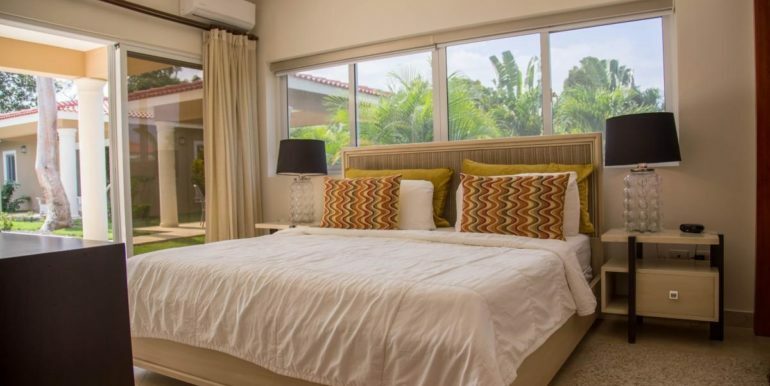 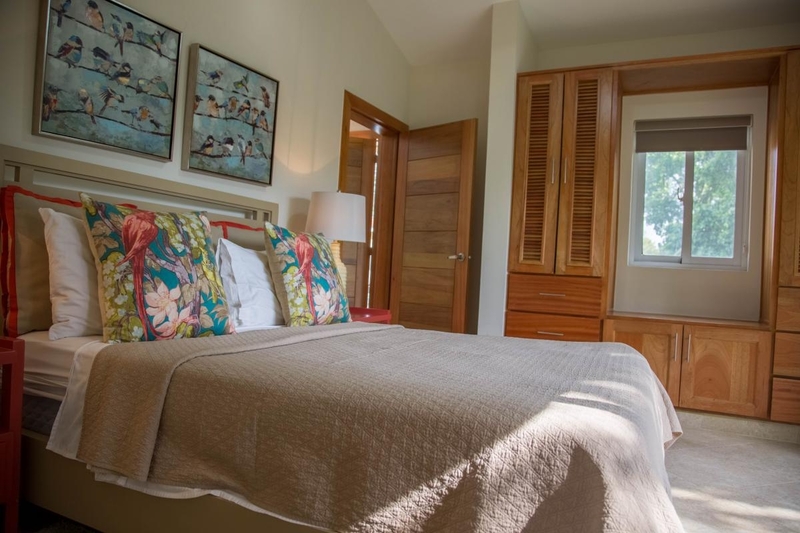 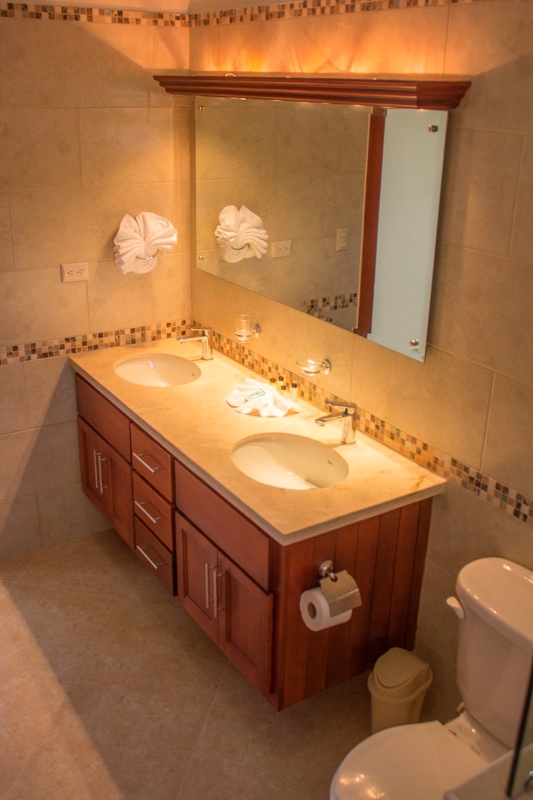 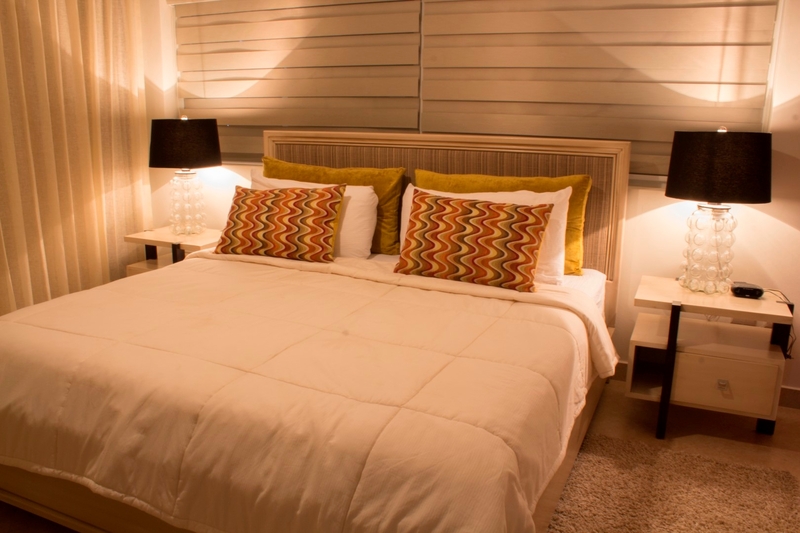 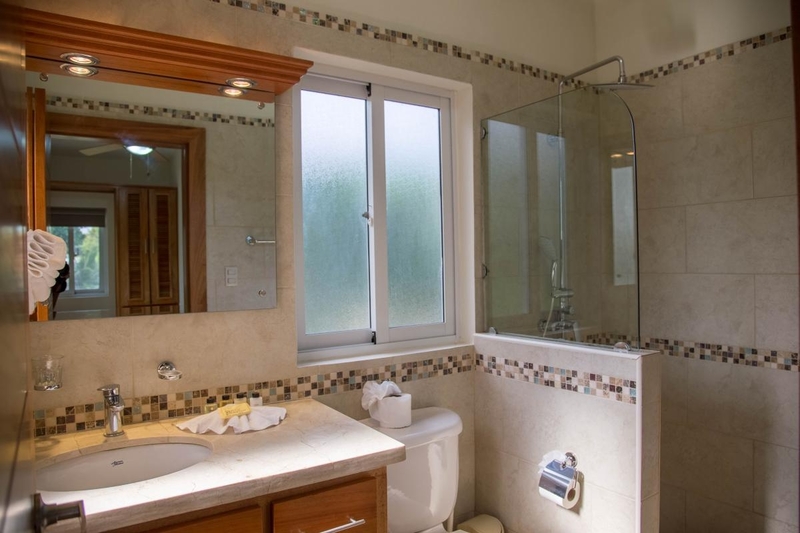 The 4 bedrooms are very well appointed, each including its private bathroom, towels, linens, TV and A/C. 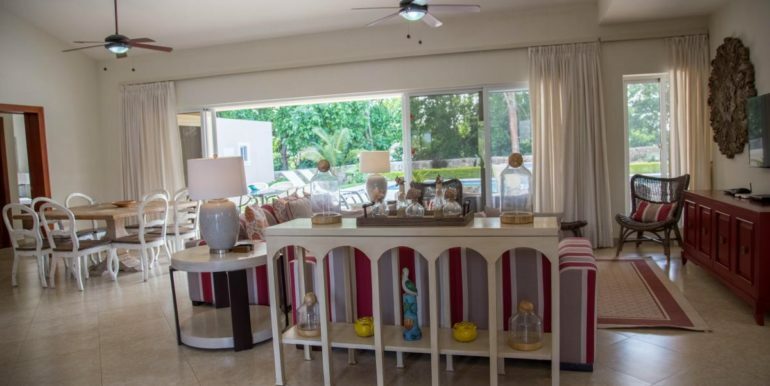 The living room is decorated with light pastel tones accented with red hues, and cream-colored love sofas. 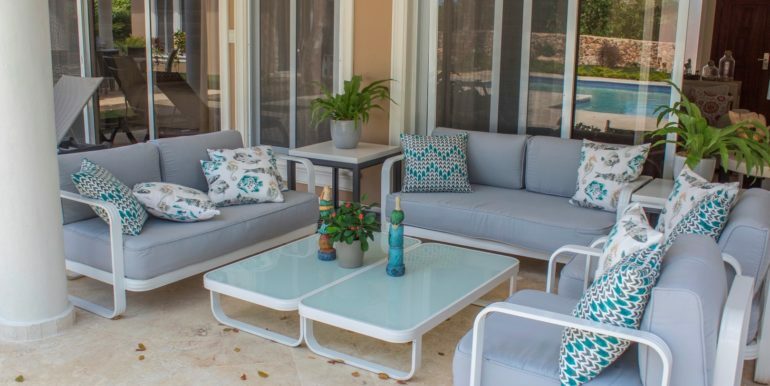 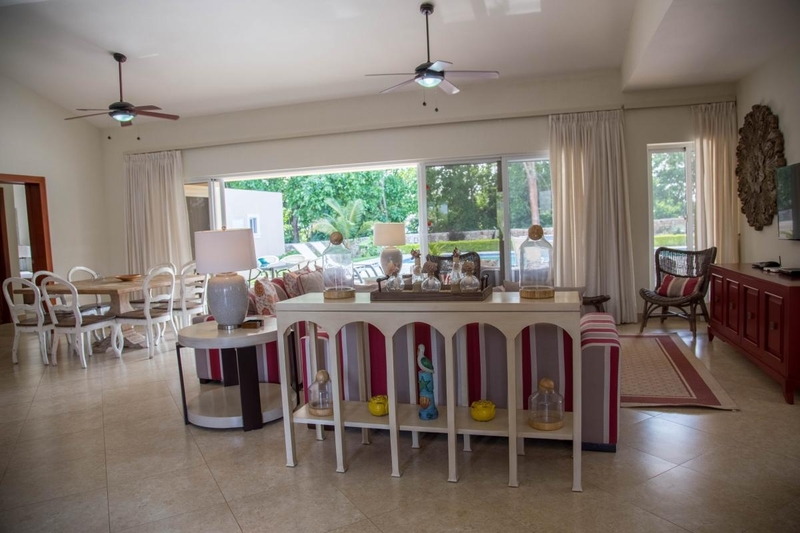 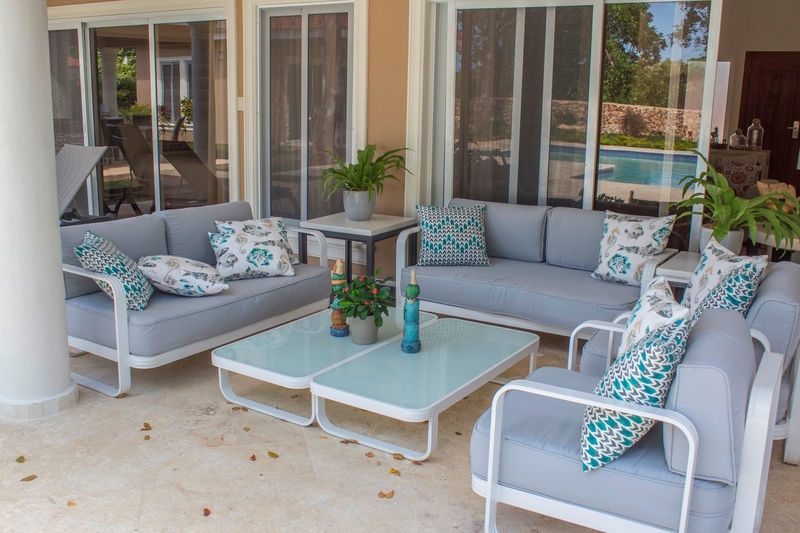 Lounge areas under the verandas include also sofas in light purple and white trim, matched by a set of twin tea tables with glass top. 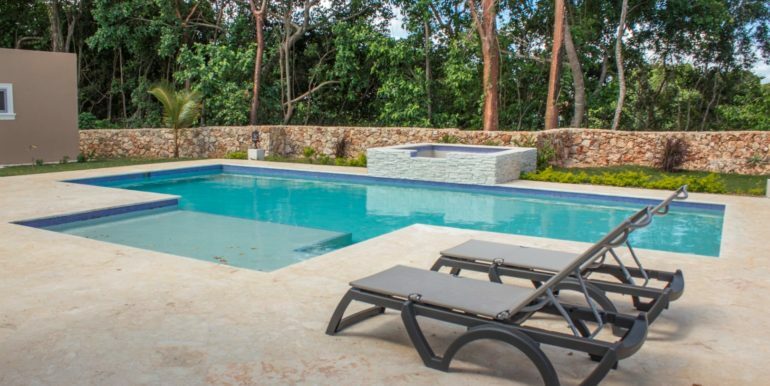 The swimming pool area faces a small forest of trees that bring the cool Caribbean breeze into the deck, every morning. 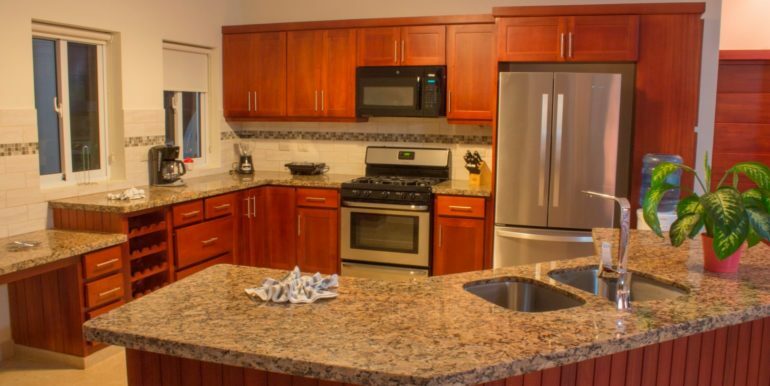 A full equipped kitchen in oakwood includes new appliances, wine rack, coffee maker and microwave oven. 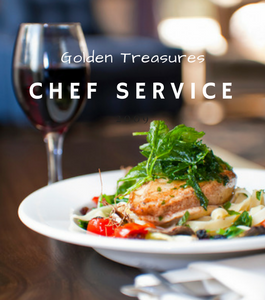 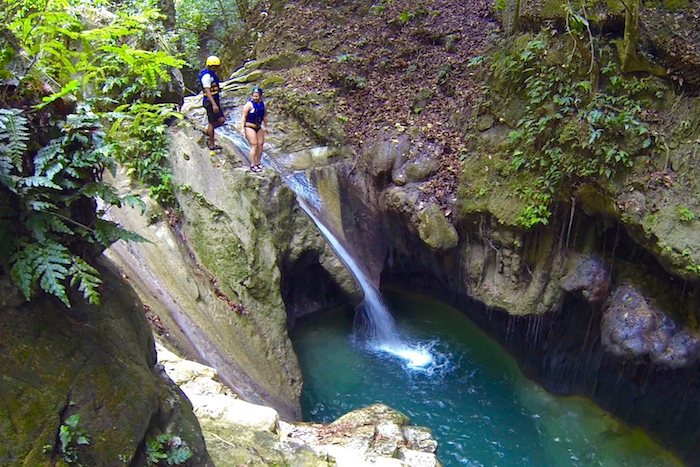 Optional services like driver with van, tour guide, chef and yacht tours are available via the GT concierge. 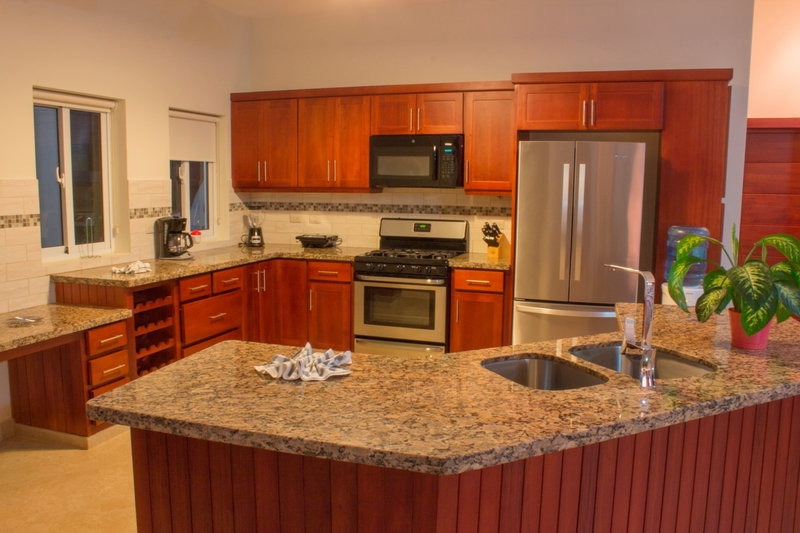 Property Ref#spc1230-759.